Did you miss part one, our Top Ten (and a half) stories of 2011? Click here! JANUARY: The year started with a big sale announcement from the public radio side, Duquesne University’s pick of the $6 million offer from Essential Public Media over the management group already running WDUQ (90.5); the deal would close and the station (now WESA) would change hands July 1. In Canada, Radio Humsafar paid C$200,000 for CILV (1570 Laval-Montreal), and in Maine, unbuilt WTBP (89.7 Bath) changed hands from the local Knights of Columbus to the Presence Radio Network for $1,000. FEBRUARY: The biggest deals came from Canada, where Bell paid C$27 million for independent Toronto urban station CFXJ (93.5 Flow FM) and Cogeco closed its C$80 million purchase of Corus’ Quebec radio stations. Stateside, a TV sale was the biggest deal: $20 million for NRJ TV LLC’s purchase of Boston-market WMFP (Channel 62) and San Francisco’s KCNS (Channel 38) out of Multicultural Television’s bankruptcy. In Pennsylvania, Forever Broadcasting paid 2510 Licenses LLC $2 million to bring Johnstown-market WCCL (101.7 Central City), WNTJ (1490 Johnstown) and WLKH (97.7 Somerset) back into the fold. Bible Broadcasting Network exited Rome, New York with the $90,000 sale of silent WYFY (1450) to Tune In Radio LLC. MARCH: More seven-figure TV deals highlighted the month – New Hampshire politician Bill Binnie ponied up $9.25 million for Shooting Star’s Derry-based WZMY (Channel 50), soon renamed WBIN, while the bankrupt owners of WLNE (Channel 6) in the Providence market unsuccessfully fought off a $4 million sale to Citadel Communications, complaining the price was too low. The month’s biggest radio deal was the $600,000 sale of WLIR (107.1 Hampton Bays NY) from Jarad to religious broadcaster Livingstone Broadcasting, which moved the Christian contemporary “WLIX” programming there in August from WLIX-LP (94.7). In New York’s Southern Tier, WKPQ (105.3 Hornell) finally ended years of ownership jitters with a trade to Sound Broadcasting, which handed off $44,000 cash and WCBA (1350 Corning) to Phoenix Radio Group. Buffalo’s Holy Family Communications paid $1,000 to a local Catholic group for unbuilt WQHE (88.3 Oil City PA). APRIL: A stalking-horse bid from Boardwalk Communications set the value of the bankrupt Atlantic Broadcasting signals on the Jersey Shore at $3 million (but stay tuned…); in Pennsylvania, Radio Vision Cristiana paid $150,000 for saved-from-extinction WVZN (1580 Columbia), and in northern New Hampshire EMF handed off unbuilt WUKV (97.1 Colebrook) to Barry Lunderville for $7,000. MAY: The new Longport Media group upped the ante for the Atlantic stations, winning the bankruptcy auction for $4.2 million. In perhaps the year’s biggest sale-price surprise, Greater Media pocketed $2.75 million for selling little daytimer WWTR (1170 Bridgewater NJ) to longtime leased operator EBC Music Inc. Continuing the million-dollar theme, Aruba Capital Holdings paid $1 million for the Phoenix’s WPHX-FM (92.1 Sanford ME). In Pennsylvania, Glenn Summers and Roy Miller paid Panorama PA $115,000 for little WAZL (1490 Hazleton). JUNE: The only surprise in NJN’s sale of its radio licenses to Philadelphia’s WHYY and New York’s WNYC was how low the prices were: WHYY paid $926,000 cash and $612,000 in “non-cash payments” (on-air mentions and such) for the five southernmost NJN Radio signals, while WNYC paid $1 million cash and $1.8 million “non-cash payments” for the four northernmost signals. No other station sale cracked six figures in the region – Joe Vilkie picked up WGRP (940 Greenville PA) and WLOA (1470 Farrell PA) from EMF for $50,000; Vermont’s WFTF (90.5 Rutland) went from Christian Media Fellowship to Christian Ministries for $80,000; Dan Priestly picked up WGUY (1230 Ellsworth, moving to 1240 Veazie) for $44,000; and Pennsylvania public broadcaster WVIA acquired unbuilt WLPP (91.5 Palmyra Township) from Four Rivers Community Broadcasting for no cash – just access to a tower site for a Four Rivers translator. JULY: After months of rumors, the State University of New York inked a $4 million deal to sell WBFO (88.7 Buffalo) to Western New York Public Broadcasting, parent of rival WNED. In Down East Maine, the estate of Lyle Evans sold WRMO (93.7 Milbridge) to Charles Begin’s new Pine Tree Broadcasting for $35,000. SEPTEMBER: More big TV deals dominated the month – Sinclair’s $200 million buyout of Four Points Media included Providence-market WLWC (Channel 28), while NRJ TV LLC entered the Philadelphia market, paying Richard French $30 million for Reading-licensed WTVE (Channel 51). After selling for millions of dollars just a few years back, WHAT (1340 Philadelphia) changed hands for just $475,000 from Marconi Broadcasting to Aztec Capital Partners. And Holy Family Communications made another $1,000 deal for a construction permit, picking up unbuilt WTMI (88.7 Fleming/Auburn NY) from Tyburn Academy. OCTOBER: The month’s biggest deal wasn’t exactly a sale, but rather a reorganization, as Peter Davidson handed off partial ownership of his Blackstrap stations in a reorganization valued at $23.5 million that put WWZN (1510 Boston) and WSNR (620 Jersey City) under the new Media Americas Corp. In north central Massachusetts, WGAW (1340 Gardner) went from Steve Silberberg to Steve Wendell for $150,000, while longtime religious broadcaster Brian Dodge (or rather a “Harvest” group controlled by his wife) struck a $25,000 deal to pick up WCKL (560 Catskill NY), which he’d been operating under an LMA from Black United Fund of New York. A deal not yet filed at the FCC at year’s end found Chris Lash’s Whiplash Radio acquiring WHYP (1370 Corry PA), and up in northern New England, the Word Radio Educational Foundation accepted WMEK (88.3 Kennebunkport ME) and WMTP (91.1 Conway NH) as a donation from New Life Ministries. NOVEMBER: Yet another nine-figure TV deal found Sinclair paying Freedom $385 million for its TV stations, including WRGB (Channel 6) and WCWN (Channel 45) in the Albany market. Townsquare paid $245,000 for an Albany translator, W256BU, while down the road in Utica EMF sold WRCK (100.7) to Roser Communications Group for $425,000. Cox exited the AM dial in southern Connecticut, selling WNLK (1350 Norwalk)/WSTC (1400 Stamford) to Sacred Heart University for $500,000. Way up north, Northern Maine Media paid County Communications $31,500 for WHOU (100.1 Houlton ME), while Cogeco unloaded two surplus Quebec City stations, CJEC and CFEL, to Leclerc Communications. DECEMBER: Two big deals closed out the year – CBS added a second New York City TV station with the $55 million purchase of WLNY-TV (Channel 55), while Merlin Media entered Philadelphia with the $22.5 million purchase of Family Stations’ WKDN (106.9). Holy Family Communications paid Family Life Network $75,000 for a Rochester translator, W225AR, and Port Broadcasting paid FNX $42,500 for WPHX (1220) in Sanford, Maine. JANUARY: After kicking off with a few New Year’s changes – Radio Disney’s arrival at 1250 in Pittsburgh (WEAE-turned-WDDZ), all-news WSYR-FM on 106.9 in Syracuse, ESPN sports replacing “Champ” rock at Burlington’s WCPV (101.3), 90s-pop “Crush” WQSH replacing “Buzz” WBZZ at 105.7 in Albany – attention turned to some personnel changes. Veteran Utica jock Bill Keeler lost his morning slot at WXUR (92.7), moving to a new webcast later in the year; in Connecticut, WTNH (Channel 8) weatherman Geoff Fox was ousted, returning in April at WTIC-TV (Channel 61); in New York City, Glenn Beck lost his big-market clearance at WOR (710) and in Boston, Don Imus vanished for good from his last early-morning hours at WTKK (96.9), while WRKO picked up former WTKK talker Michelle McPhee later in the day. (She later moved over to WCVB-TV.) Longtime Watertown weatherman Rick DeFranco left the market, while “Fly Jock” Tom Joyner returned to New York City’s airwaves at WRKS (98.7). In Canada, Bell announced the upcoming launch of “TSN Radio” sports talk on CHUM (1050 Toronto); it made the flip there in April. At month’s end, WSYR-TV (Channel 9) became the first Syracuse news operation to go HD. Signals in the news: Clear Channel filed to move WPKX (97.9) across the state line from the Springfield market into Hartford, a move that’s just now nearing completion. In New York City, a yearlong translator odyssey found W296BT (107.1) moving from Brooklyn to the New Jersey side of the Holland Tunnel and sliding down the dial to a temporary home at 106.3. Gone: The FCC cancelled the license of WRJI (91.5 East Greenwich RI), allowing share-time partner WCVY (91.5 Coventry) to go full-time. Across the border, the CRTC revoked the license of community station CKLN (88.1 Toronto), though legal battles allowed the station to stay on the air for a few extra months. Also gone was the Eureka-147-based digital audio broadcasting system, which shut down most of its remaining transmitters. FEBRUARY: Much of the month’s big news came from north of the border, where Cogeco’s takeover of the Corus stations in Quebec found ancient callsigns such as CHLT, CHLN and CJRC (and the “Souvenirs Garantis” oldies format they carried) being replaced by new “CKOI” relays in Sherbrooke, Trois-Rivieres and Gatineau/Ottawa. Also in Ottawa, “Bear” returned to 106.9 CKQB, replacing the “Virgin” nickname that was a poor fit for the station’s rock format. In Albany, DJRA Broadcasting dropped Christian contemporary for “Legends” oldies at WPTR (96.7), though the format change wouldn’t last out the year. Northwestern Connecticut saw some changes, too: WREF (850 Ridgefield) became oldies WAXB, using an FM translator to reimage as “B107.3,” while Dennis Jackson LMA’d his WQQQ (103.3) to public broadcaster WSHU. News-talk came to the Olean, New York area on Colonial Broadcasting’s WUMT (103.9 Kane PA), which became WVTT (“Voice of the Twin Tiers”) and was relayed by translator into Olean; later in the year, the WVTT calls and talk format would replace country WBYB on 96.7 in Olean. In New England, “Mut and Merloni” replaced “Dale and Holley” in the afternoons at sports-talk WEEI, while in Providence WPRO rearranged its schedule, sending John DePetro to mid-mornings and debuting a new “WPRO Morning News” with Andrew Gobeil and Tara Granahan. New to the air: WFTE 90.5 near Scranton (Feb. 8), WGNY-FM 98.9 Rosendale/Kingston NY, WANZ 90.1 Stamford NY (on the WAMC public radio network), WSLG 90.5 Gouverneur (North Country Public Radio), WMTQ 88.1 Elmira (Holy Family Catholic radio), WPMW 88.5 Bayview MA, WGXC 90.7 Acra NY (Feb. 26, 2 PM). MARCH: A quiet month found more format tweaks than all-out changes – in the Hudson Valley, WCZX (97.7 Hyde Park) reimaged as “Mix 97.7” and returned Mark Bolger to the morning airwaves; in Boston, WXKS (1200) dropped its “Rush Radio” branding; in Barrie, Ontario, CHAY(93.1) became “CHAY Today @ 93.1” after several years as “FM 93”; in Rochester, Brother Wease’s morning show added WHTK (1280/107.3) to flagship WFXF. (Meanwhile, Rochester-area high school station WIRQ returned to its original home at 90.9 after being displaced from 104.7.) Two former Radio Disney stations returned to the air: WDDZ (550 Pawtucket RI) as business-talk WBZS under Salem on March 14 and WDZK (1550 Bloomfield CT) as religious WSDK under Blount on March 19. ESPN added two New Hampshire outlets: WZBK 1220 in Keene and WGIN 930 in Rochester. New to the air: WGDH 91.7 Hardwick VT, relaying WGDR 91.1. Gone: WZUM 1590 Carnegie PA, March 23. APRIL: FM talk came to Buffalo, as Entercom pulled the plug on “The Lake” (WLKK 107.7) to flip the signal to a simulcast of WBEN (930). In Boston, Ed Walsh departed WBZ (1030)’s morning news, replaced by Joe Mathieu, while down the road at WTKK (96.9), Jay Severin found himself suspended and eventually ousted from afternoon drive after talking about having had affairs with female employees at a business he’d owned. (He returned to the air in August at WXKS 1200.) In New York, Charles McCord announced his retirement after decades as Don Imus’ newsman at WNBC, WFAN and WABC. In TV news, Western Pacific Broadcasting (an arm of Richland Towers) won the bidding for new digital construction permits in Atlantic City, NJ (Channel 4) and Seaford, Delaware (Channel 5). Utica’s WUTR/WFXV announced plans to relaunch local news, which returned – in high-definition – in September. In Toronto, flailing independent “Sun TV” (CKXT-TV 52) gave way to “Sun News,” a north-of-the-border clone of Fox News Channel; by fall, Quebecor surrendered the over-the-air TV license and took Sun News cable-only. In Brattleboro, Vermont, low-power WVEW-LP (107.7) was silenced temporarily by a fire that seriously damaged its studio and transmitter building, and in New Haven, Yale University’s WYBC (1340) became the latest station LMA’d to growing public broadcaster WSHU. New to the air: WFYB (91.5 Fryeburg ME). Gone: CKLN 88.1 Toronto, at 6:45 PM April 15; WDDM 89.3 Hazlet NJ, displaced by new WFJS-FM Freehold. MAY: The FCC’s latest round of FM auctions yielded some big bids – over $2 million from a group led by Rick Rambaldo for 92.7 Lawrence Park/Erie PA and $691,000 for 95.3 Celoron/Jamestown NY. 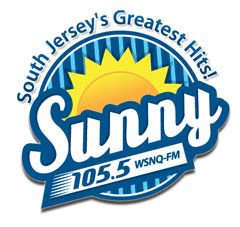 Family Radio’s predicted judgment day failed to arrive on schedule May 21, leaving listeners to stations such as New York’s WFME 94.7 and Philadelphia’s WKDN 106.9 confused. New York listeners seeking a different religious choice found one on May 30, when EMF Broadcasting turned on WKLV-FM (96.7 Port Chester), replacing Cox’s WCTZ, which signed off from its old Stamford, Connecticut transmitter site May 21. In Pittsburgh, WPYT (660 Wilkinsburg), plus a new FM translator on 100.1, became urban WAMO on May 20, though the legal call change would be delayed several weeks. On TV, Pittsburgh’s WQEX became WINP under new owner Ion Media. Utica’s WUTQ (1550 and FM translators) segued from AC “B 95.5” to news-talk, and in Worcester, WNEB (1230) flipped to Catholic programming and WCRN (830) parted ways with morning man Peter Blute. In Montreal, Aaron Rand left his longtime home, CFQR 92.5, May 26, moving shortly afterward to afternoons at CJAD 800. New to the air: CJWV 96.7 Peterborough ON (testing May 13), CKZM 94.1 St. Thomas ON (noon, May 20), WREM 88.7 Potsdam NY (May 16, with “PRX Remix” public radio), WFJS-FM 89.3 Freehold NJ (May 17), WEVF 90.3 Colebrook NH (New Hampshire Public Radio), “The Drive” dance music on WGNY-FM 98.9-HD2 and Judson Valley translators W231BP/W239AK. Longtime CBS manager Steve Swenson departed New York’s WINS/WCBS for CBS Radio’s Washington cluster, though his task there – creating a new all-news FM station – wouldn’t be clear until later in the year. In New England, tornadoes swept across Springfield and Worcester, while in Haverhill veteran WXRV (92.5) jock Bob Stuart departed, the last member of that station’s charter airstaff from the 1990s. China Radio International leased out WILD (1090 Boston). On TV, Bill Binnie’s newly-purchased WZMY (Channel 50) became WBIN-TV, dropping its My Network TV affiliation, which went to WSBK (Channel 38) in the fall. In Providence, WJAR (Channel 10) went HD for its newscasts, followed quickly by WPRI/WNAC. Back in radio, Arbitron created a new “Hudson Valley” market. In Erie, WRKT applied to move from 100.9 to 104.9, bringing its transmitter closer to Erie. And the saga of New York’s little translator got stranger: the former W296BT moved to 106.3 from Four Times Square, but operated as W292DV for only a few days before being shut down by an interference complaint from WKMK (106.3 Eatontown NJ). JULY: One of the year’s biggest format shifts got underway July 14, when Merlin Media pulled the plug on New York rocker WRXP (101.9), installing a temporary “FM New” AC format on the renamed WEMP before flipping to all-news August 12. In Canada, the month began with Ottawa’s CJOT (99.7) flipping from “EZ Rock” to “Boom” classic hits and Windsor’s CBEW (97.5) signing on as the FM replacement for the CBC’s CBE (1550). Later in the month, London’s CKDK 103.9 evolved from “Greatest Hits” to “More 103.9,” focusing on the 1980s. Buffalo’s WECK (1230) dropped talk for “Breeze” soft AC July 12, eventually adding an FM translator, while in Binghamton soft AC arrived on “Sunny 107,” an HD-subchannel/translator run by Equinox. In Rochester, veteran programmer Jeff Howlett disappeared from WHAM (1180), ahead of bigger Clear Channel cuts later in the fall. New to the air: CKLO 98.1 London ON (July 5), CFTA 107.9 Amherst NS (1:07 PM July 21, just ahead of the debut of CKDH-FM 101.7, replacing local CKDH 900); CJGM 99.9 Gananoque ON (July 29, noon). AUGUST: A bad month for what was left of smooth jazz radio in the region – CIWV 94.7 Hamilton ON flipped to country “KX 94.7,” while the former WSJW 92.7 Starview/Harrisburg PA transitioned to rock WKZF after several weeks of stunting. In Pennsylvania, State College’s “Wish” WWSH (98.7 Pleasant Gap) became “Eagle” rock WEMR; along the Susquehanna River, country WLGL-FM (92.3) and sports WYGL (1240) became sports simulcast WVSL/WVSL-FM. In Quebec, “Rock Detente” signals including Montreal’s CITE and Quebec’s CITF rebranded as “Rouge FM.” Niagara Falls’ CFLZ (105.1) dumped AAA “River” for adult hits “Ed FM.” In Canandaigua, oldies disappeared from WCGR (1550) and its FM translator at 104.5, replaced by a simulcast of sister country station WFLK (101.7 Geneva). On TV, Buffalo-market WNGS (Channel 67) became WBBZ-TV. The month ended with an early launch of sports WIP-FM on 94.1 in Philadelphia, displacing rocker WYSP after decades at that spot on the dial. New to the air: “Word FM” WZXE 88.3 East Nottingham PA. Gone: WBHV 1330 Somerset PA, WIPS 1250 Ticonderoga NY. In York, Pennsylvania, WARM-FM (103.3) flipped to “Wink 103,” paralleling WNNK (104.1 Harrisburg), while September 16 brought the Harrisburg-market format and call swap between WWKL (Hot 92.1) and WTPA (93.5) in advance of the Citadel/Cumulus spinoffs there that will send WTPA (now on 92.1) and WCAT-FM (102.3) to divestiture. Pittsburgh’s WMNY (1360) dropped money talk for news-talk. Connecticut Public Radio’s WNPR (89.1 Norwich) and WPKT (90.5 Meriden-Hartford) swapped calls, putting the “WNPR” branding on the network’s flagship station. Bad weather flooded out WEBO (1330 Owego NY), WCDO (1490 Sidney NY) and other stations along the Susquehanna River and its tributaries, while on the Massachusetts coast WJDA (1300 Quincy) lost its tower to Hurricane Irene. On a happier note, radio reunions in Binghamton and Rochester brought broadcast veterans together to reminisce. New to the air: WVNK 91.1 Manchester VT (VPR Classical); WRQV 88.1 Ridgway PA (Rev-FM); WZHD 97.1 Canaseraga/Hornell NY. 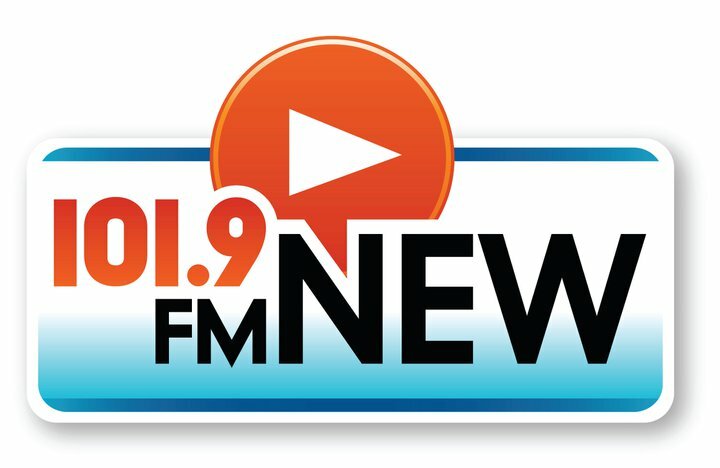 Gone: WNHV 910 White River Junction VT.
OCTOBER: Rhode Island Public Radio completes its transition October 8, putting “RI NPR” on WELH (88.1 Providence), WCVY (91.5 Coventry) and WRNI-FM (102.7 Narragansett Pier) and Latino Public Radio on WRNI (1290 Providence). Downstate, WCNX (1180 Hope Valley RI) dropped news for classical as WCRI(AM). The AAA format at WRNX (100.9 Amherst/Springfield MA) went away at month’s end as 100.9 became the new home of country WPKX. Country also arrived on a second FM in Hornell, New York, as WKPQ (105.3) flipped from rock to “Kickin’ Country” October 10. In Montreal, CKGM (990) rebranded from “The Team” to “TSN Radio.” In the Philadelphia suburbs, WPAZ (1370 Pottstown) relaunched as WBZH, “The Buzz.” On TV, New Hampshire’s WBIN launched a “local” newscast produced in Davenport, Iowa. Clear Channel introduced a new level of “regional market managers”; in Pittsburgh, the company exited the bidding for Pirates radio rights, handing the team over to CBS Radio’s KDKA-FM (93.7 the Fan) beginning in 2012. New to the air: CKFG 98.7 Toronto (“G 98.7”, Oct. 3); WUMT 91.7 Marshfield MA (relaying Boston’s WUMB-FM); WJCI 89.5 Baptist Village MA; WXLD 89.7 Lowville NY (North Country Public Radio); WLKW-FM 95.3 Celoron/Jamestown NY; WCNH 91.5 Bow NH; WCGM 102.7 Wattsburg PA (Family Life Network, the moved-into-Erie replacement for the old WNAE-FM Clarendon. Gone: CBE 1550 Windsor ON (Oct. 1); WEER 88.7 Montauk NY. 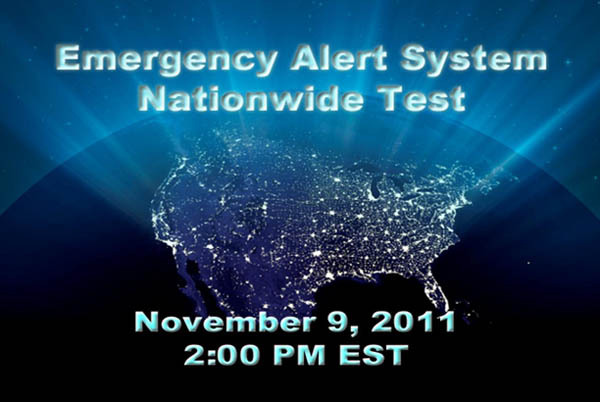 NOVEMBER: Stations braced for the national EAS test November 9, only to find that technical problems upstream made the test all but inaudible. Across the border, the CRTC granted new signals in Montreal, sending “TSN Radio” CKGM from 990 to 690, launching a new French-language talker at 940 and a French-language gay and lesbian outlet at 990. (It also licensed a new news-talker on 960 in Mississauga, Ontario, next door to Toronto.) 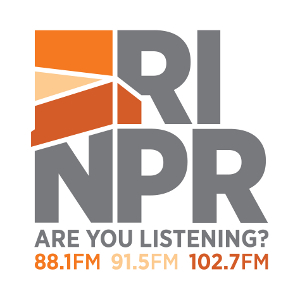 Connecticut Public Radio (“WNPR”) added a relay in Springfield, Massachusetts, taking over American International University’s WAIC (91.9). In Albany, oldies WPTR-FM became religious WDCD-FM November 11. In Philadelphia, Clear Channel dumped Spanish “Rumba” from WUBA (1480), returning the station to its heritage WDAS calls and promoting a return to R&B oldies after a Christmas stunt. New to the air: WRFI (91.9 Watkins Glen NY); CIRA-5 (1350 Ottawa, testing Nov. 11); Family Life Network’s WCIS (90.9 Laporte PA). Gone: CKXT (Channel 52) Toronto. A few stations made headlines by moving: WCVT (101.7 Stowe VT) relocated to the top of Mount Mansfield, while WCBS (880 New York) moved downtown from the CBS Broadcast Center to Hudson Square. New to the air: WXBP (90.3 Corinth/Bangor ME), with Catholic “Presence Radio.” Gone: CJTS (104.5 Sherbrooke QC). no mention of the Clear Channel Communications October(?) bloodbath? It was in the “top 10 stories” part of Year in Review, last week. >>which also picked up former WRKO talker Michelle McPhee later in the day. Don’t you mean WRKO picked up former WTKK talker McPhee? Wow, the next time I make it up to Montreal I’m not going to recognize a thing on the radio dial (well, the commercial part of it, anyway). Speaking of EAS, does Canada have a system? I believe there’s a system that operates through the CBC stations, but there’s no EAS equivalent that’s meant to operate over all broadcast facilities. WYSP flipped to WIP-FM on September 2nd. The announcement of the impending flip was made in August, but the change occurred in September.